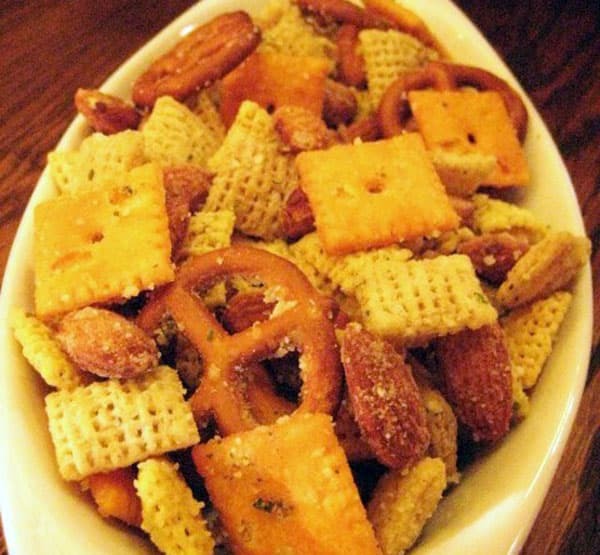 In a large bowl, mix cereal, S&J Buttery Twists, crackers and S&J almonds. In a small microwavable bowl, microwave butter until melted. Pour over cereal mixture; stir in dressing mix and cheese until evenly coated; mix well, and enjoy!